Not The Barnet Times: Sale of Underhill: the return of BRASS? Contrary to reports in the Barnet Times, the freehold of the site of Underhill Stadium has not been sold. Yet. There is a proposal to build a new Academy school on the site. A spokesman for the Department for Education (DfE) confirmed to Don’t Call Me Dave that contracts have been exchanged, but the transaction has not yet completed. Unless the DfE uses the same incompetent draughtsmen as Barnet Council, it is reasonable to assume it is a conditional contract that can be annulled in the event that planning consent is refused. So all is not lost for Barnet Football Club supporters hoping for an eventual return to Underhill. 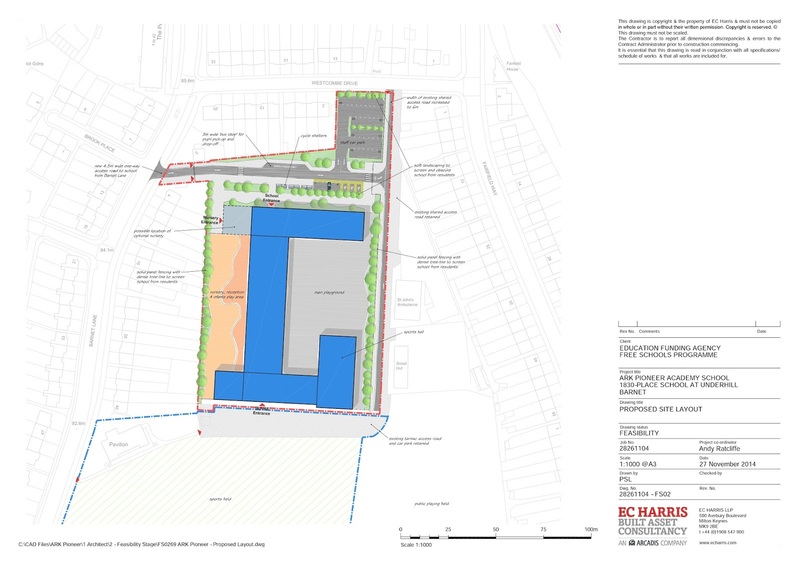 A plan of the proposed layout for the school has been registered with Barnet’s Planning Department under reference 15/03135/ESR. To date, a full planning application does not appear to have been registered. Given that the proposal is to build a school on green belt land, there will need to be a full public consultation before the matter can be considered by the Council’s Planning Committee. The school aims to accommodate 1,830 pupils – similar to the attendance figures for Barnet Football Club when they played at Underhill. Will residents, who were used to this number of visitors on alternative Saturdays during the football season, be prepared to accept the increased traffic and disruption five times a week? 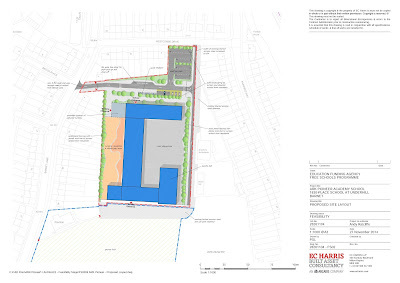 There is no question that demand exists for more school places; but given that there are already two schools on Mays Lane plus the Totteridge Academy on Barnet Lane, residents are entitled to ask whether the addition of another school in such close proximity will create too much of a strain on the local road network. Have alternative sites been considered? There is also the issue as to whether a school is desirable on green belt land, which the Conservatives have pledged to protect. In 2002, when Barnet Football Club proposed building a 10,000 seater stadium on the Underhill site, it gave rise to a pressure group called BRASS – Barnet Residents Against Second Stadium. Perhaps the proposals for the Ark Pioneer Academy School will lead to the resurrection of BRASS – Barnet Residents Against Secondary School?